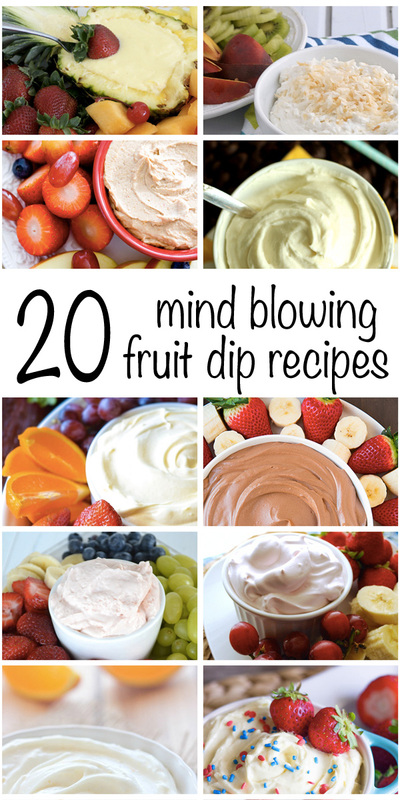 20 Mind Blowing Fruit Dip Recipes- Perfect for appetizers, potlucks, healthy snacks and more! Hi, I’m Melanie from Forty Eighteen, and you can read all about me, my family, and a bit about what Forty Eighteen is all about here. And you can find some random facts about me here and here just for fun. I’m so happy that Becky let me hang out in her kitchen today. I just wish I could cuddle her sweet little baby while I’m visiting! Mother Nature is always a little finicky in my neck of the woods. You might even say she’s a bit bipolar. Last week was Spring Break for my kids, and Mother Nature gave us everything from warm temps and bright sunshine to rain and even snow! Today, though, it feels like spring and I’m celebrating! One of my very favorite things about spring is the beginning of awesome fruit season! Most of my favorite fruits start to be in season in the spring and through the summer. For me, that means it’s time to find a new favorite fruit dip recipe. Let’s be honest here. Half the time the fruit is just the vehicle for the dip, amiright? 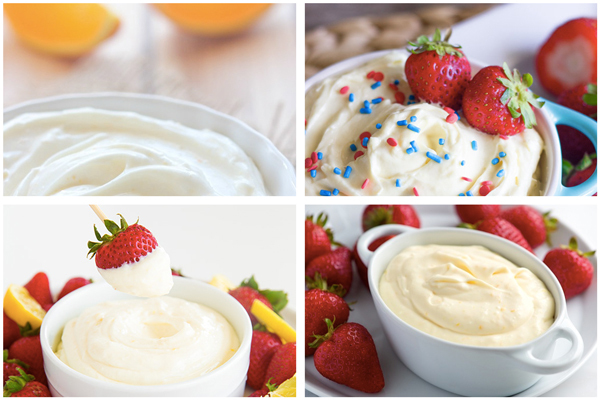 One of my simplest go-to fruit dips is just two ingredients: whipped cream and strawberry yogurt. 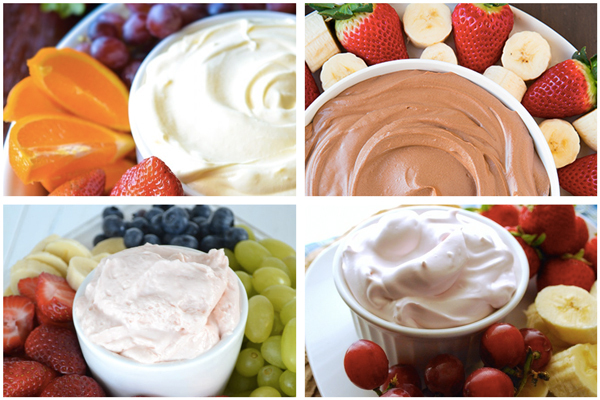 It’s awesome on strawberries and bananas – which are our favorite fruits to dip – and only takes 4.537 seconds to make so it’s easy to whip together in a pinch. You can even substitute any flavor of yogurt that sounds good! When I’m feeling super fancy, I make my Grandma’s Fruit Dip which is a little more involved and even more delicious. It has a few secret herbs and spices and leaves everyone wanting more. That’s what we’re having at my house today if you want to come on over and try it. 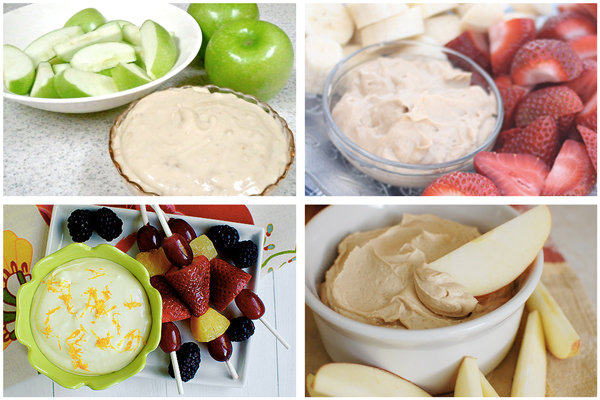 You can never have too many fruit dip recipes. At least, that’s what I always say. So I have gathered a few that look amazing. These are all on my list to try. I think it’s fun that more than one claims to be the best fruit dip “EVER.” Now I just HAVE to try them and see which one really is. I’m always looking for a new dip to make my already fabulous food even yummier! I think I’ve found a few new favorites here. What about you? These all look amazing! I can’t wait to try them out. I’m always looking for great ideas for family parties. So many fun ones to choose from. These all look delicious! Pinning for later! 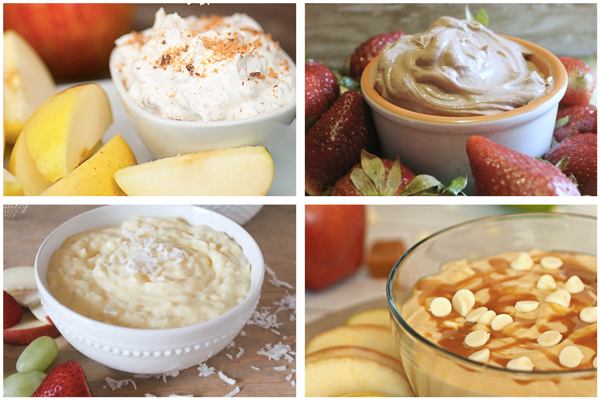 Mmm we have extra fruit from this weekend and I really want to make a few of thesee dips right now! Pinned! What a great collection! I occasionally look for fruit dips for the kids and this is perfect! Thanks! 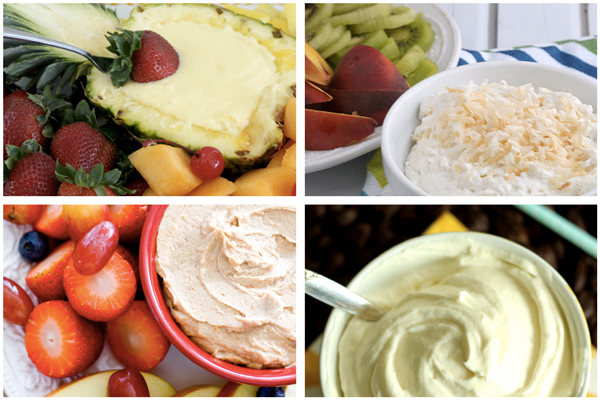 The pina Colada Fruit dip looks so good. There are so many great recipes to try here. This is a beautiful collection.